Ships tomorrow if you order in the next 23 hours 17 minutes. L-theanine is an amino acid found in green tea and certain mushrooms. It is known for creating a relaxing effect without drowsiness. People drink green tea or take L-theanine supplements hoping to obtain this relaxed state of mind, which may help with stress, poor focus and other benefits that continue to be studied. 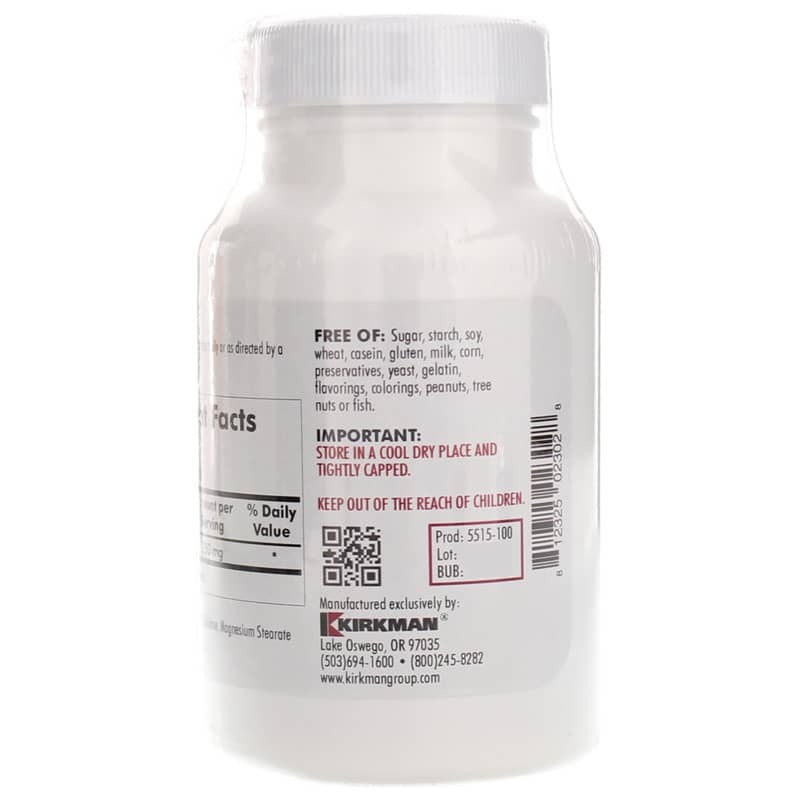 Kirkman offers a hypoallergenic natural supplement called L-Theanine 250mg that may promote certain aspects of good health, such as supporting blood pressure and serotonin levels that are already in the normal range. This formulation does not contain most common allergens, including soy, sugar, starch, wheat, corn, gluten, casein, milk, gelatin, yeast, fish, peanuts, tree nuts, preservatives, colorings or flavorings. It has gone through ultra testing for more than 950 contaminants like heavy metals, bacteria, mold and pesticides. 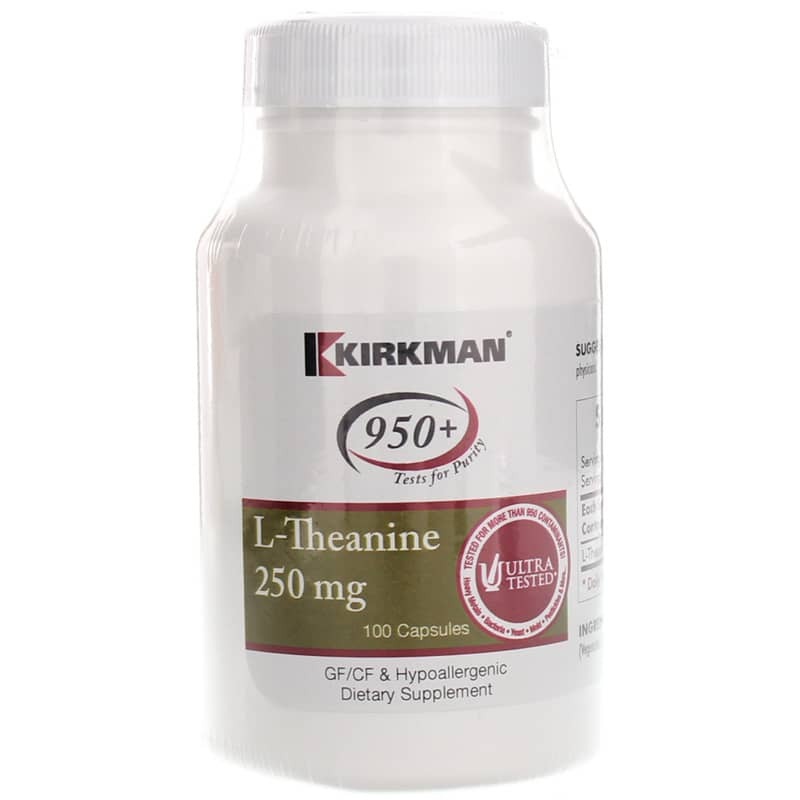 If you're looking for a hypoallergenic natural supplement that may promote certain aspects of good health, such as supporting blood pressure and serotonin levels that are already in the normal range, check into Kirkman's L-Theanine 250mg. Order online today! 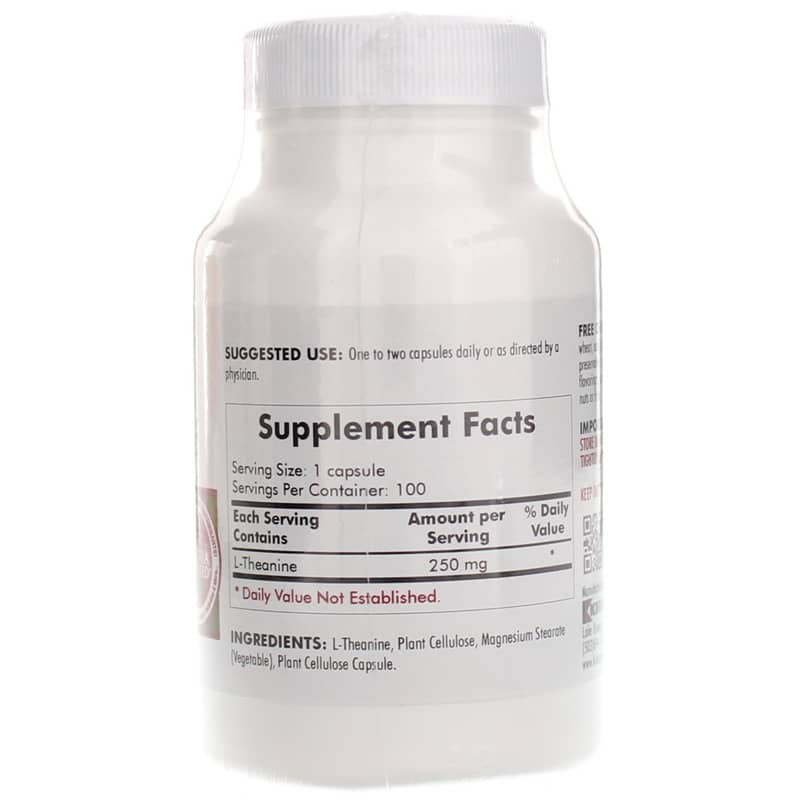 Ingredients: L-Theanine, Plant Cellulose, Magnesium Stearate (Vegetable), Plant Cellulose Capsule. Adults: One to two capsules daily or as directed by a physician.